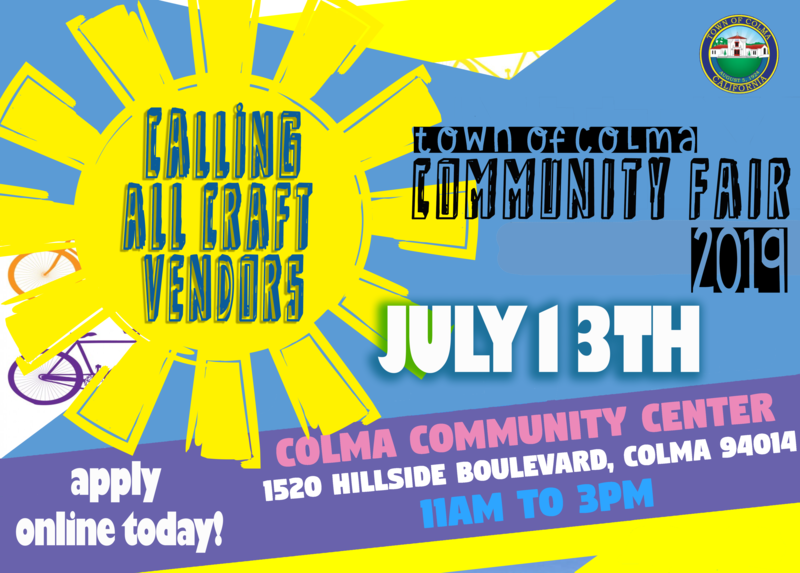 Colma Community Fair Vendors Wanted! The Colma Community Fair is BACK by popular demand! We are looking for talented vendors! Spaces are FREE! Apply online today! Contact us at 650-985-5691 or recreation@colma.ca.gov for more information.